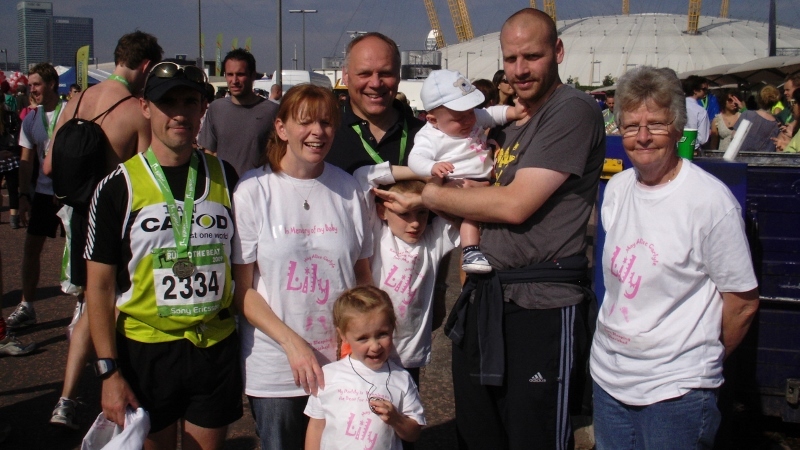 In 2009, Christine and Frank set up a Candlelight Fund in memory of their granddaughter Lily. Together with Katherine and Ian (Lily’s parents) they felt that the fund would give other children the chance of life that Lily never had and enable their families to face a future full of hope and fulfilment. The family have worked tirelessly in Lily’s memory. They’ve run marathons, bought World Gifts, held garden parties and church sales and much more to raise valuable funds for children and communities living in poverty. Katherine shares, “Throughout this time, we’ve been overwhelmed by the generosity of our family and friends in donating to the fund”. Katherine tells us, “Teddy is such a blessing to us. If we could help other families and their babies, this would be the greatest gift we could give to Teddy”. Together their family and friends raised a wonderful £680 for Lily’s Candlelight Fund. Their gifts will help children and young people living in poverty around the world. David Westrap volunteered for CAFOD for many years. When he sadly passed away in 2011, his family decided to set up a Candlelight Fund to remember him. Over the years they’ve supported it with gifts for his birthday and on other special dates. As David was always partial to ice cream, they also remember him with ice creams! This January would have been his 70th birthday. It seemed fitting to see whether they could get 70 photos of their family and friends eating ice cream to remember him. In the end they got 84 pictures! Jenny and Graham Allen set up a Candlelight Fund to remember their daughter, Stephanie. A keen conservationist and ardent campaigner for fair trade and justice, they felt that a Candlelight Fund was a fitting way to continue her passions. “CAFOD’s ethos of helping those less fortunate to help themselves and retain their dignity as well as the importance it places on caring for the environment resonated with Stephanie,” Jenny and Graham shared. These are just a few of the many amazing families I’ve met in my time at CAFOD and to be honest I could have written about a lot more.